The Creative Assembly revealed today that they've got another strategy game on the way. 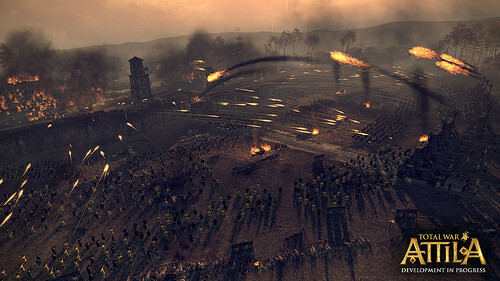 Total War: Attila refocuses the series on the 4th century, a few hundred years after the events of Rome 2. During this time period, the Roman Empire is on the verge of collapse. They're under constant attack by barbarian tribes from the east. The greatest threat to the empire was Attila, the ruler of the Huns. 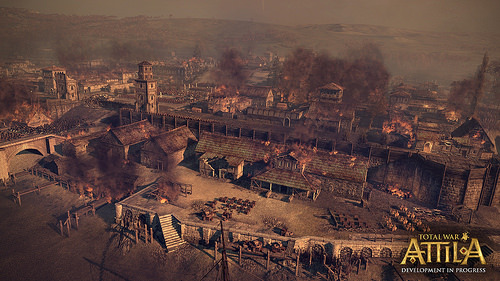 Players can control the remnants of the Roman Empire as they struggle for survival, or become one of the Eastern factions trying to establish a kingdom of their own. If you decide to play as the Western Roman Empire, you'll be in a very unique position. 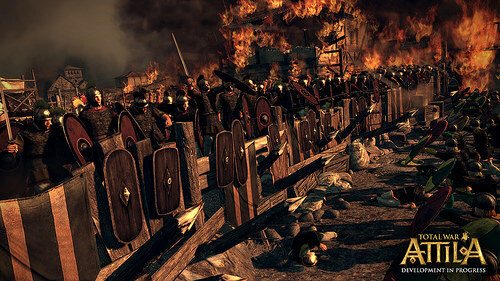 Most Total War factions begin with only small holdings that they must expand on. However, the Roman Empire has vast territories. The challenge is whether you can hold onto what you have as in-fighting and invasions chip away at your influence. Like State of Decay's Lifeline add-on, it's about keeping your throne more than gaining one. The new time period brings new units and technologies but that's not the only change. 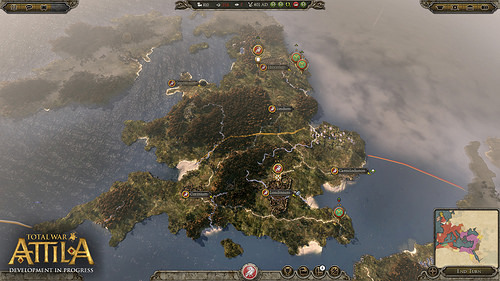 The Creative Assembly is adding new features to the traditional Total War formula of turn-based strategy and real-time battles. They're resurrecting popular parts of older games as well. 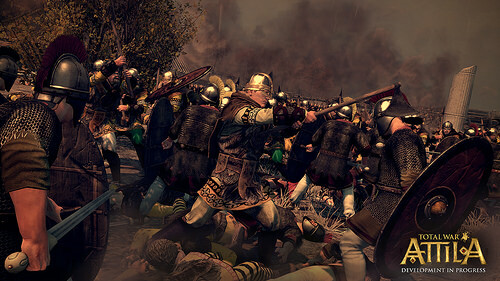 “With Total War: Attila we will create a Total War game that will challenge and enthrall fans of the series,” said Janos Gaspar, project lead on the game. “We’re reintroducing some features that fans have been asking for, such as family trees and skill trees, and improving many of the core aspects of Total War we know are important to them." Total War: Attila will launch in February 2015 on PC and Mac according to the game's website. I'll try not to misspell "Attila" too many times between now and then.